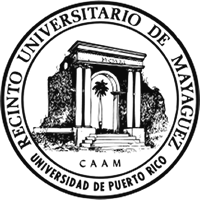 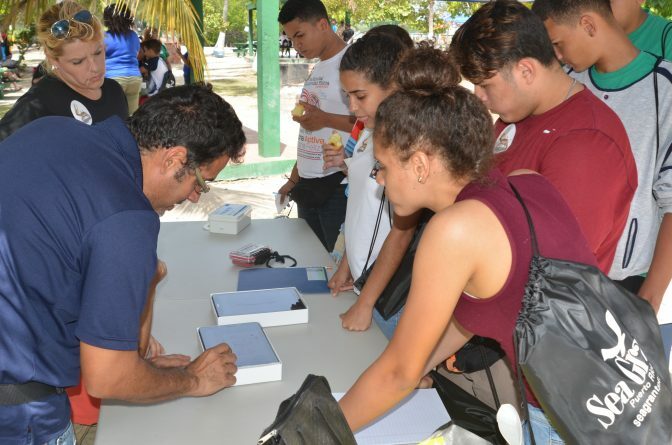 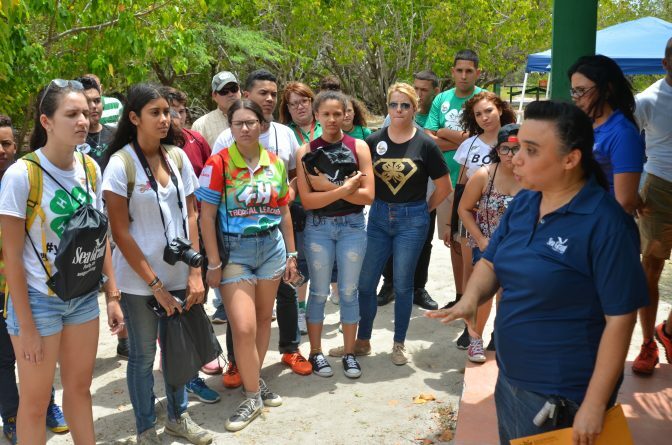 As part of the Agricultural Extension Service (SEA, by its Spanish acronym) and the Sea Grant Program Fisheries and Aquaculture Camp, hosted by the University of Puerto Rico at Mayagüez, Sea Grant Program educators received 25 students from 4H at Playita Rosada in Lajas on June 20th, 2017. 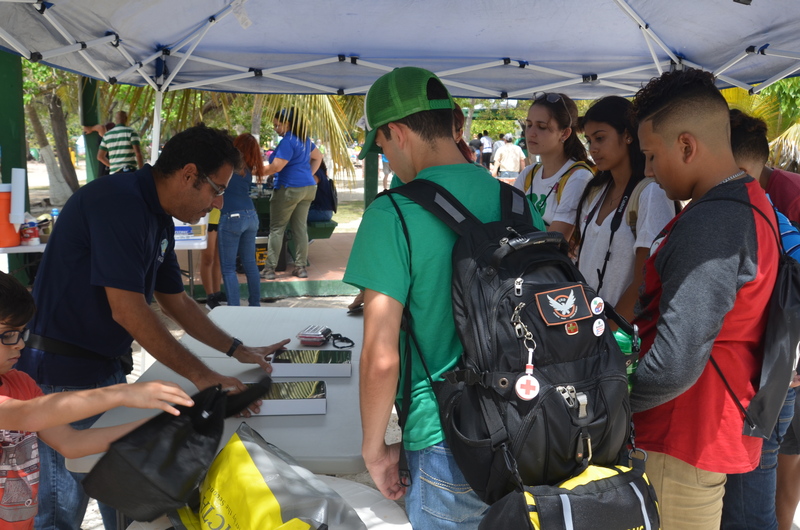 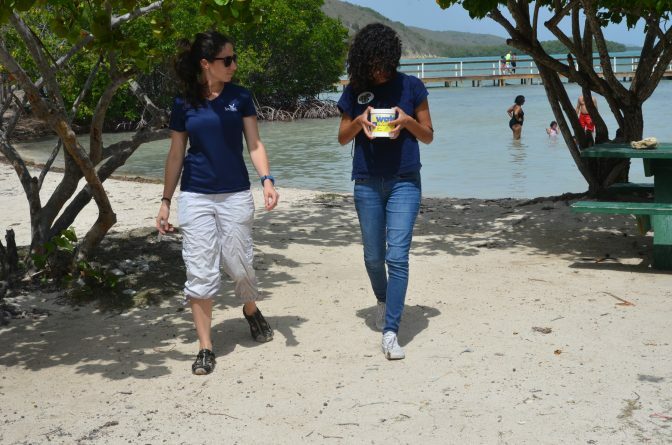 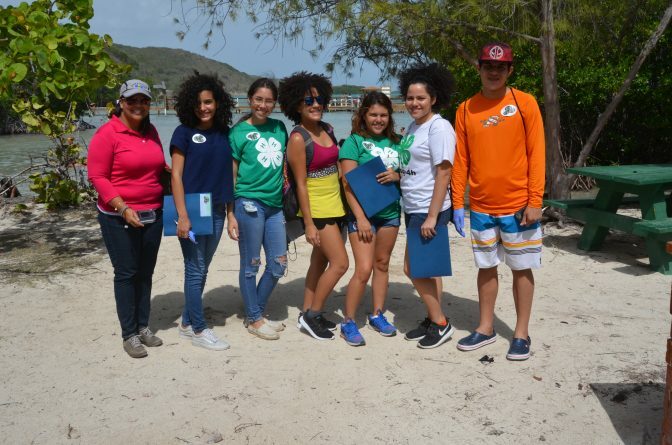 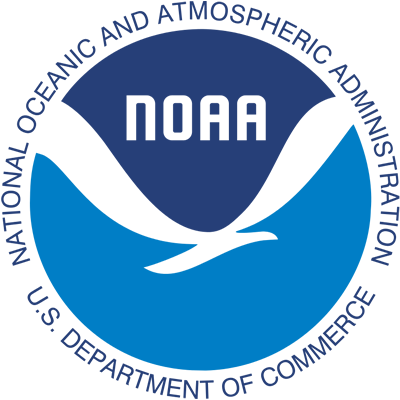 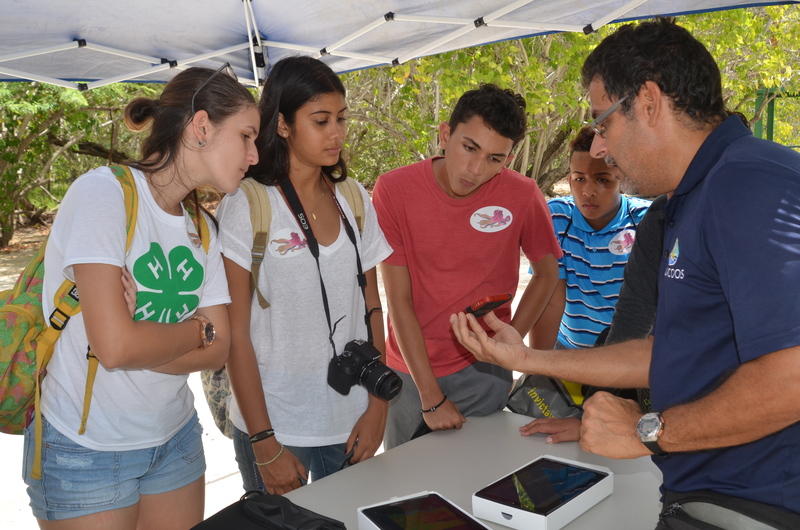 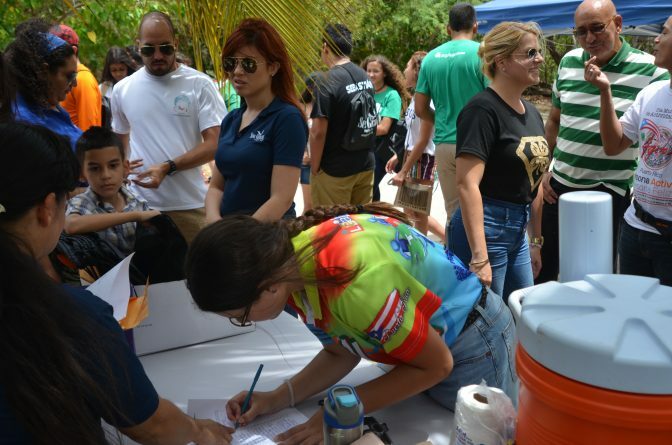 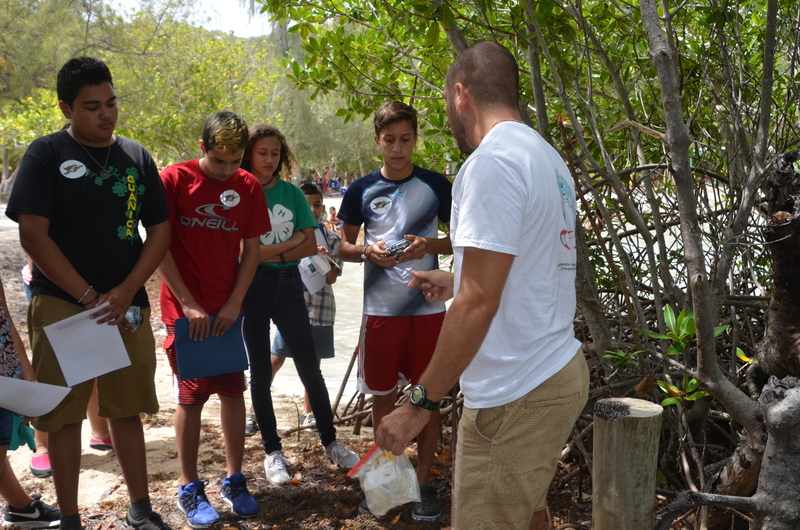 The purpose of their visit was learning firsthand about the marine and coastal ecosystems in Puerto Rico. 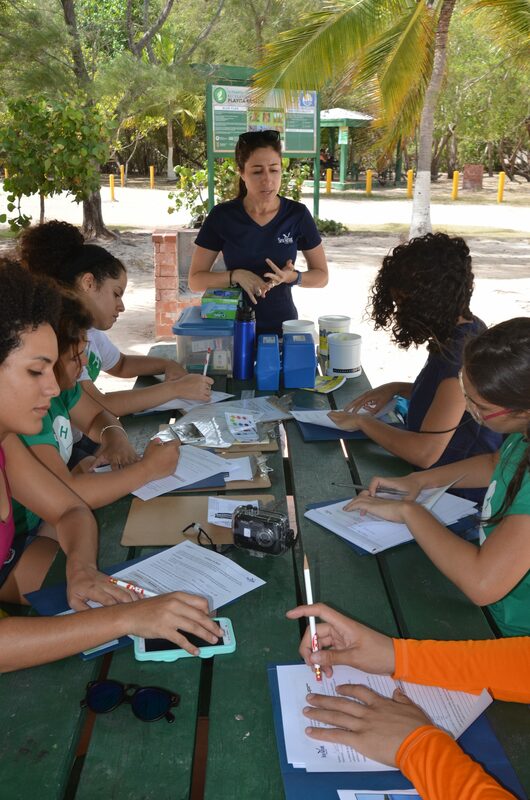 Before reaching Playita Rosada in the morning, they had taken an interesting workshop dedicated to photography. 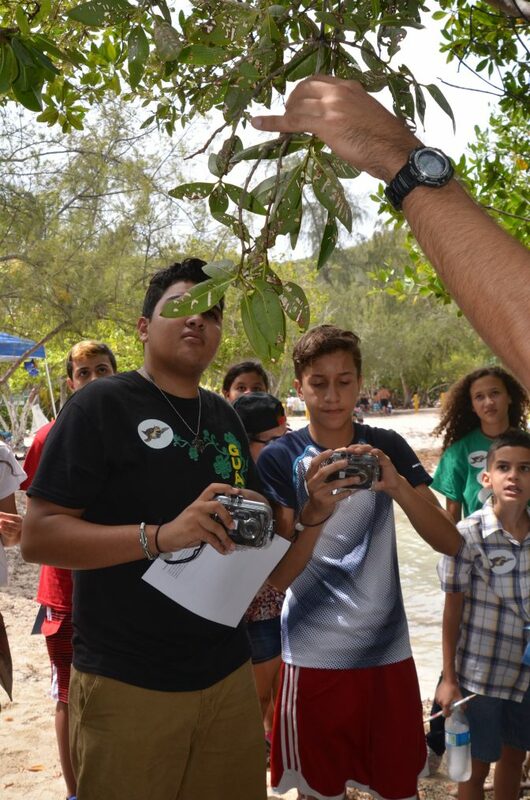 There, they were taught several techniques for taking a good photograph and documenting it properly. 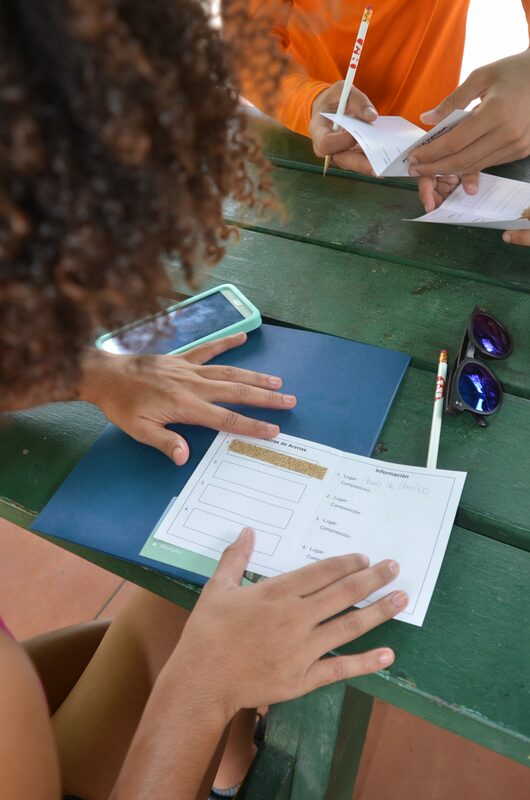 In this manner, they could take pictures and review the activities during camp and make a presentation about everything they learned there. 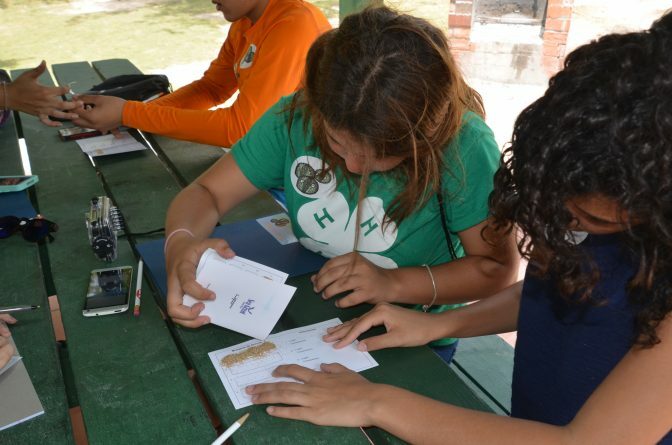 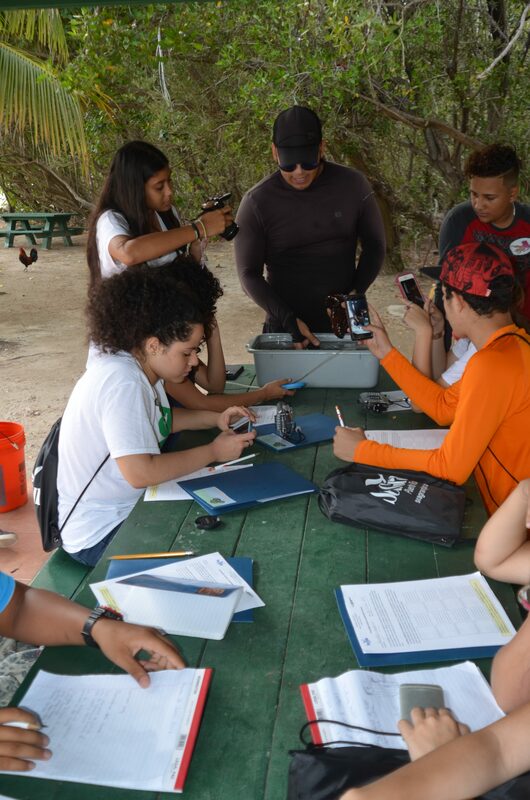 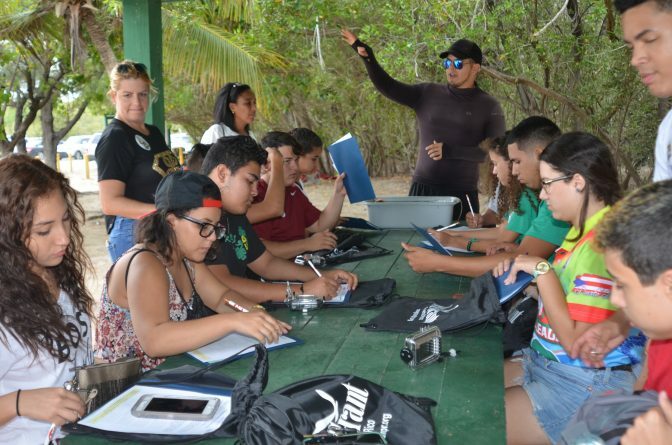 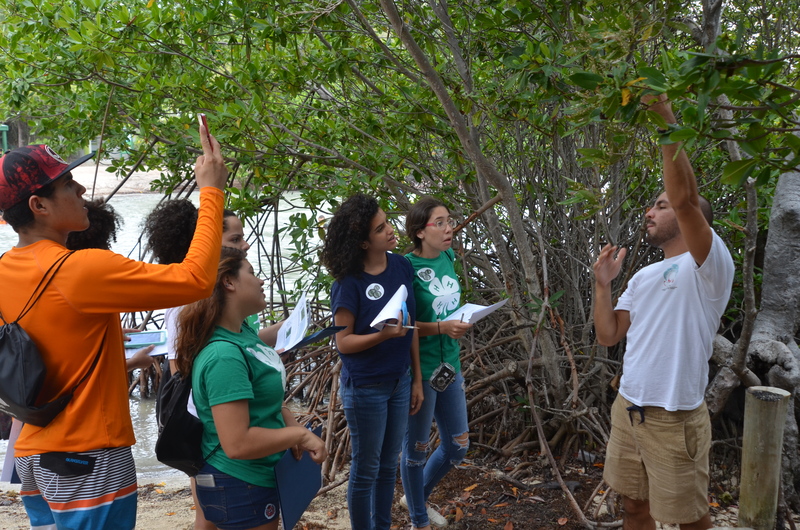 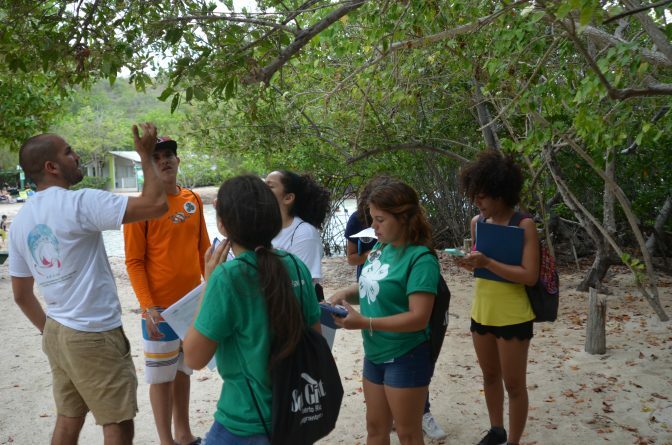 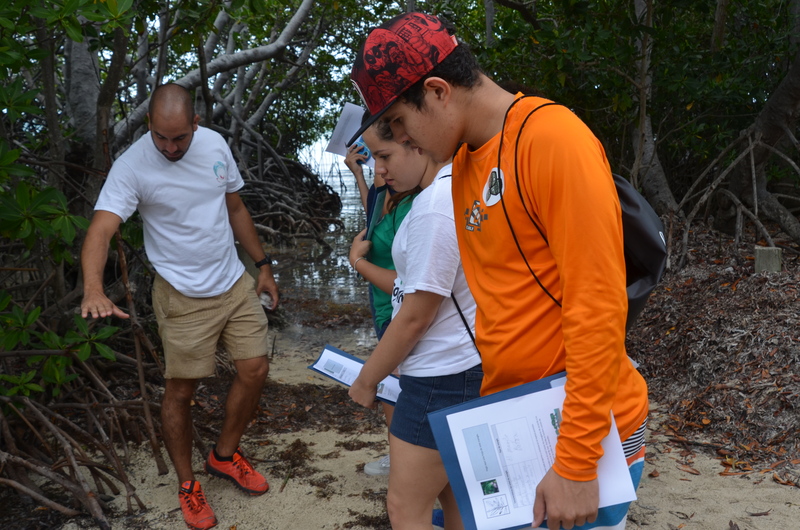 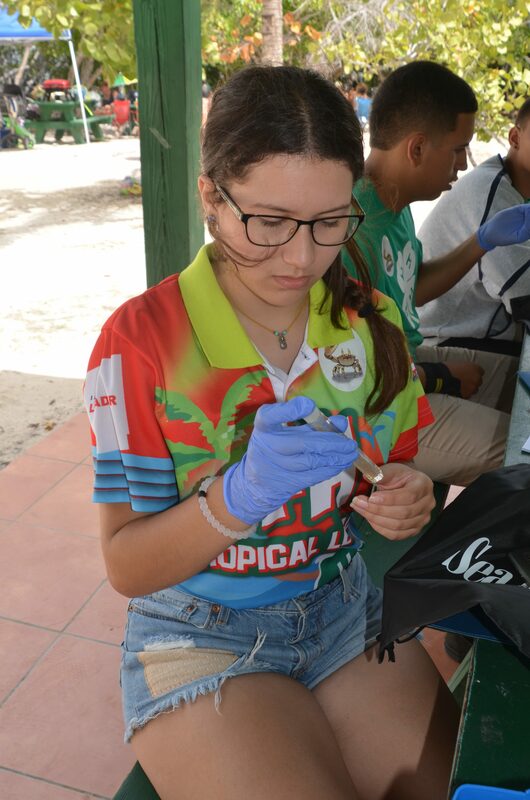 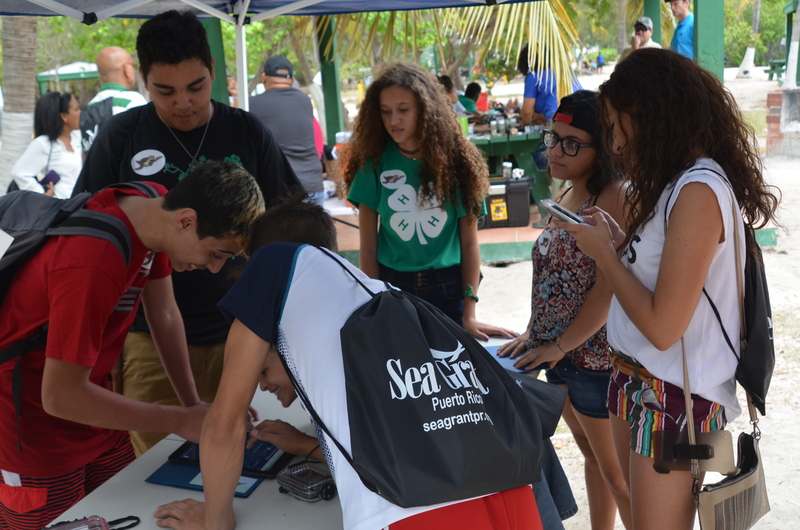 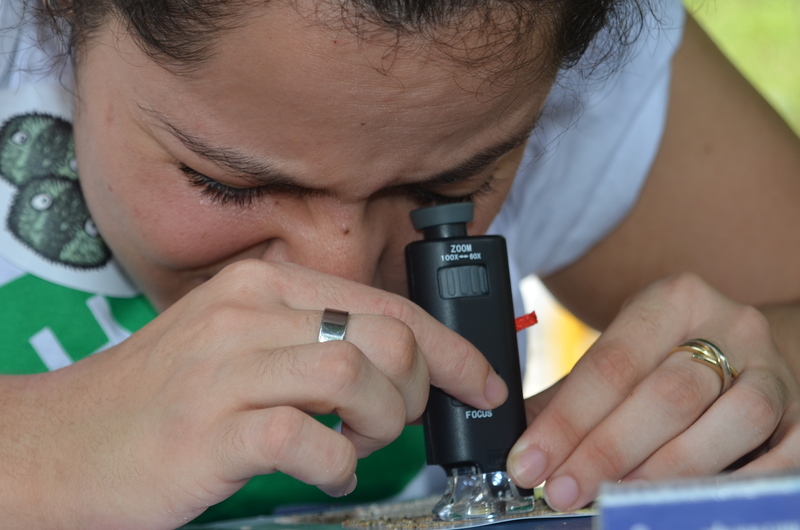 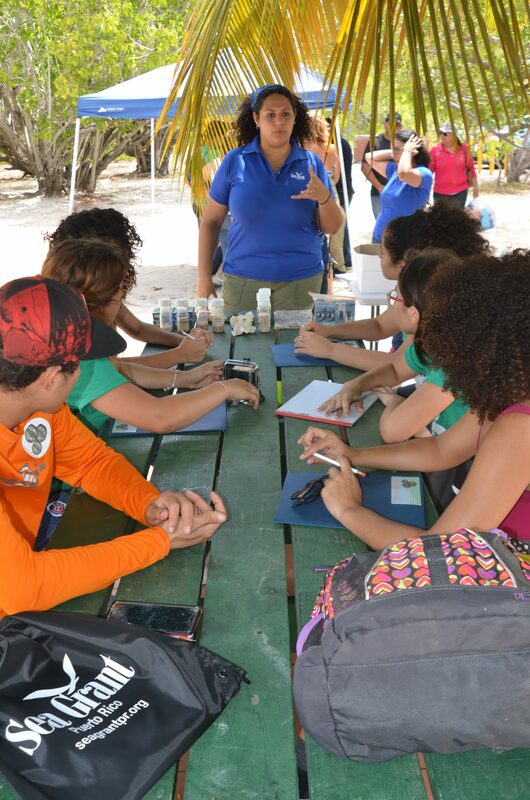 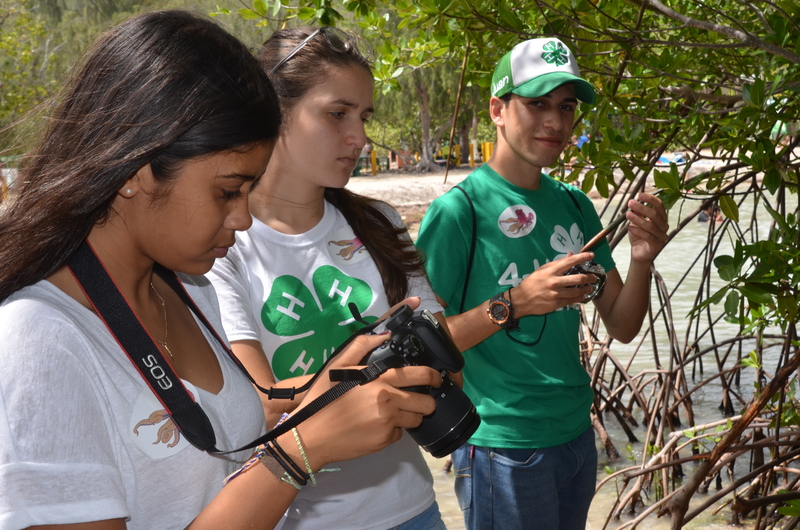 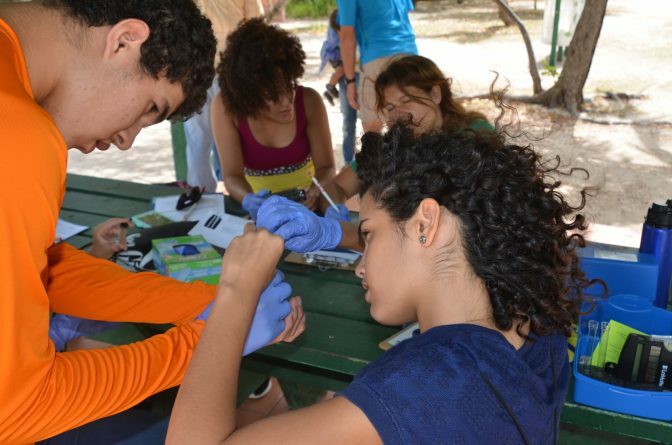 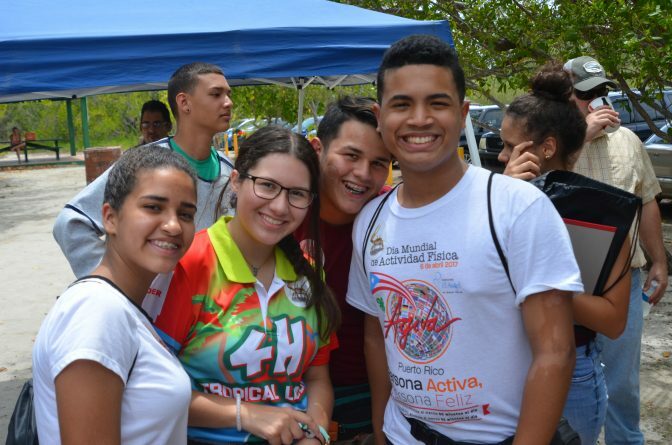 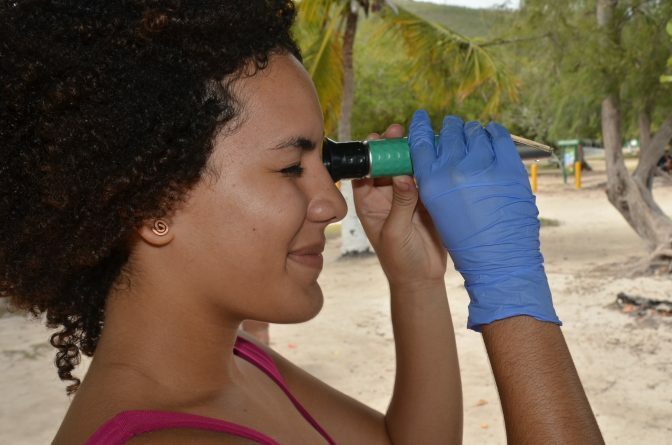 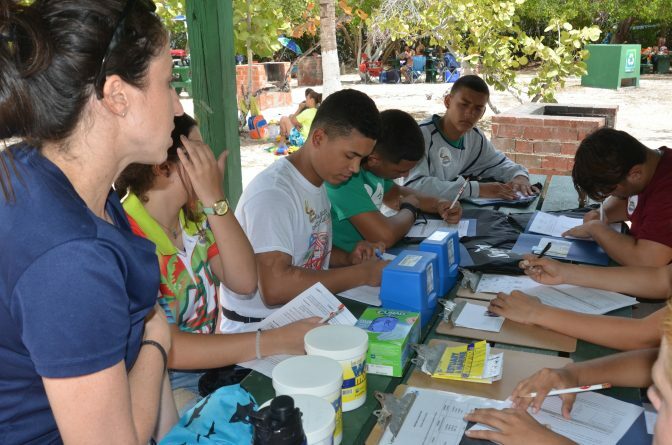 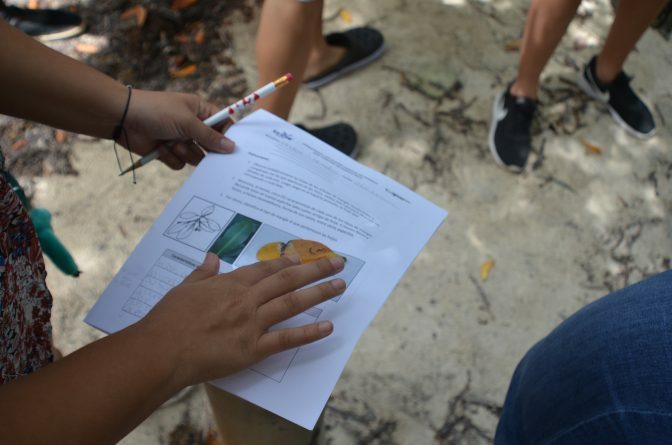 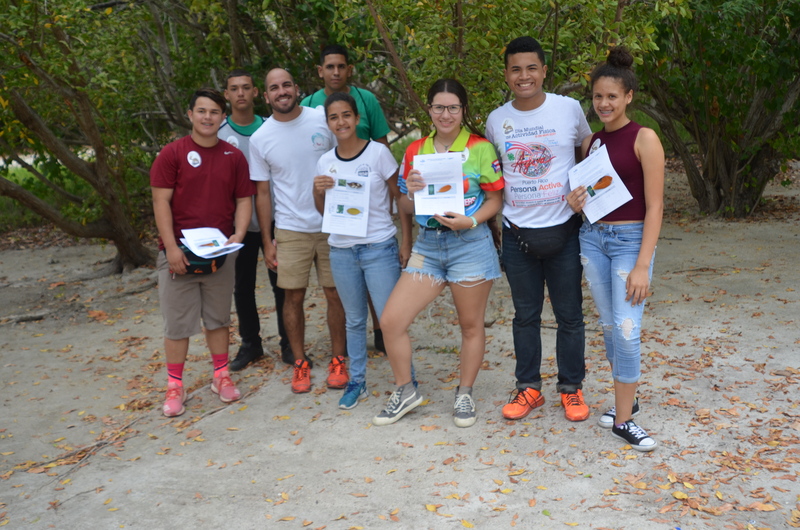 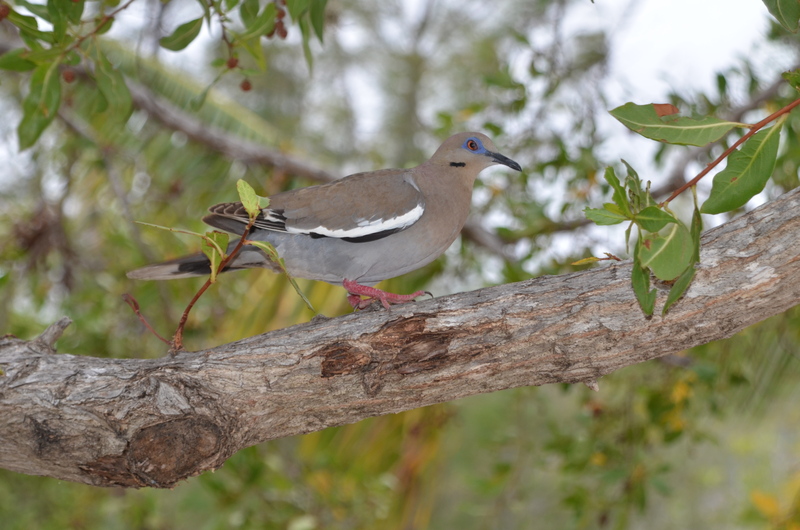 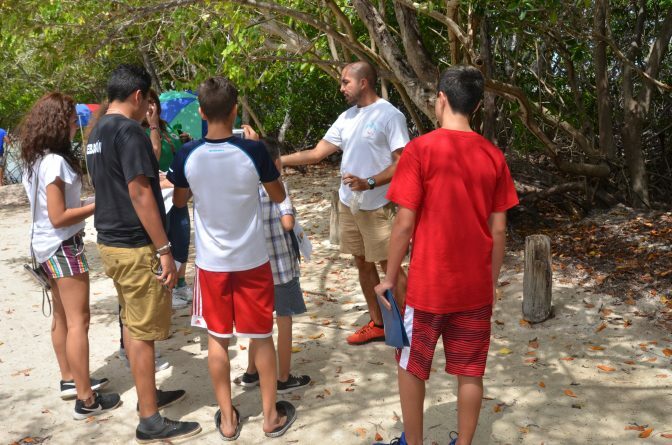 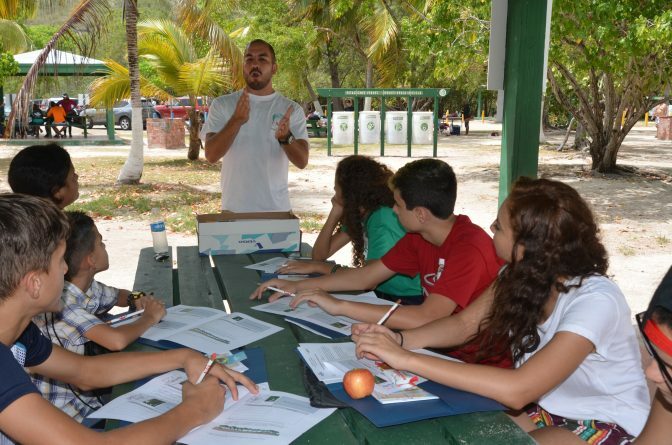 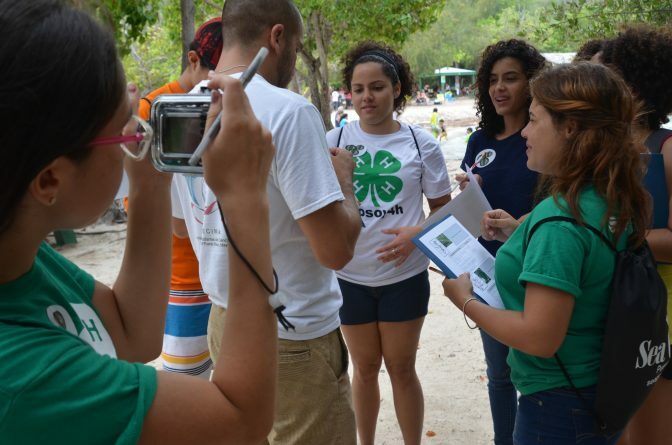 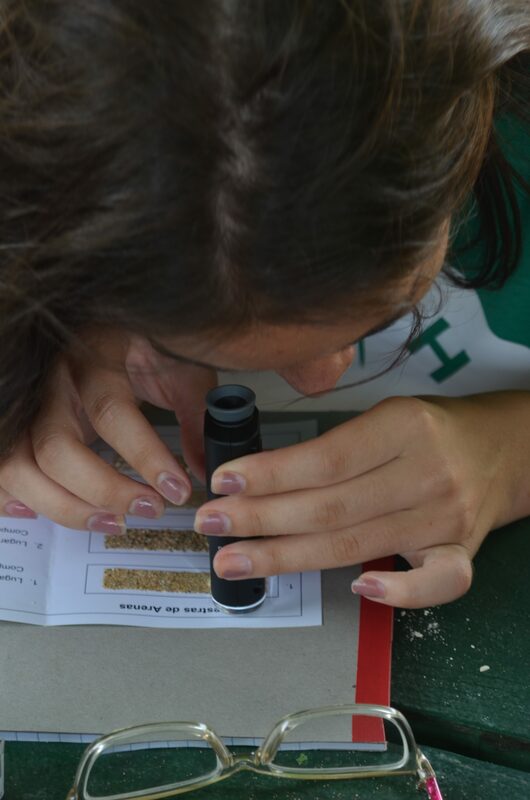 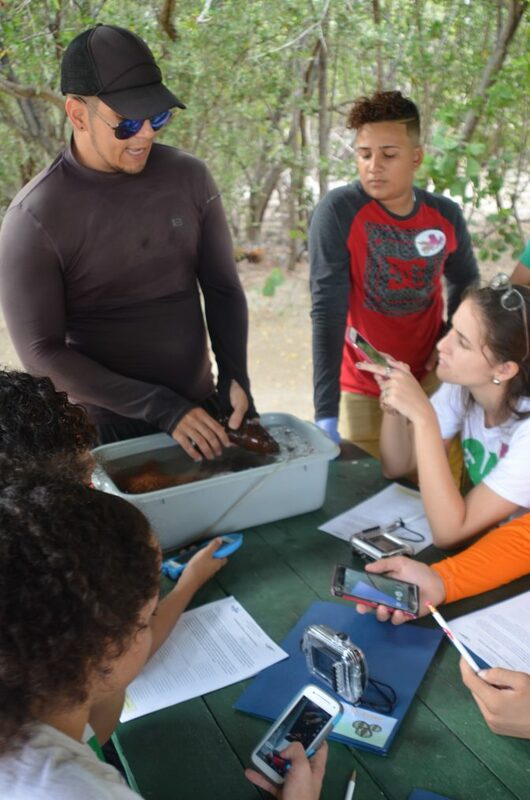 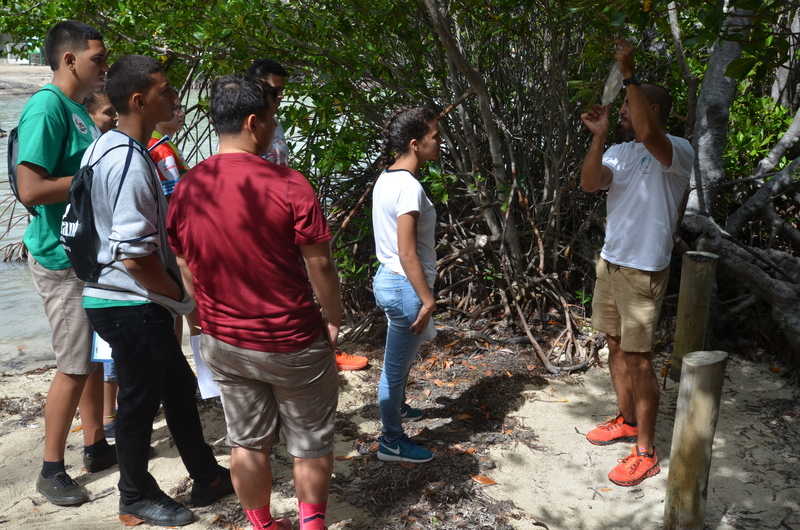 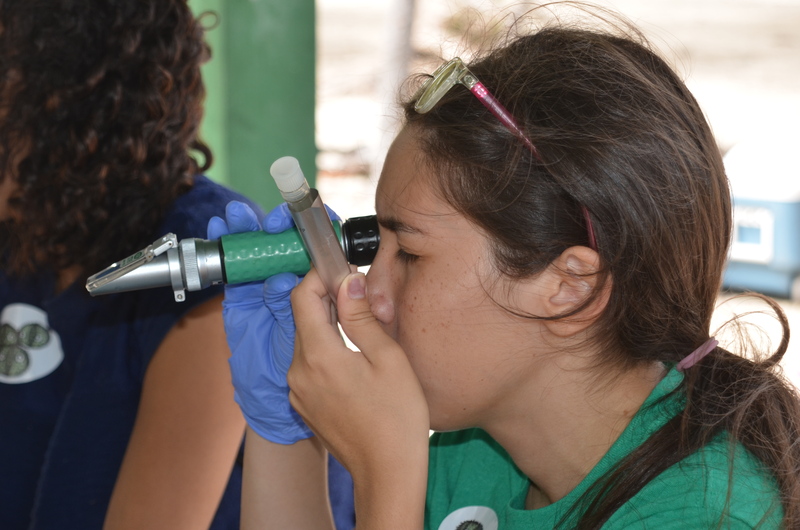 When they got to Playita Rosada, we offered several different stations in which students could closely observe the ecosystems and the organisms living therein. 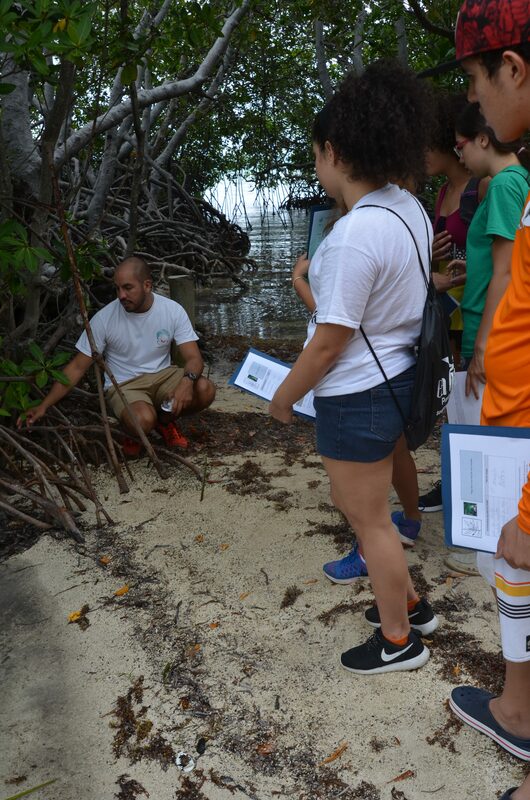 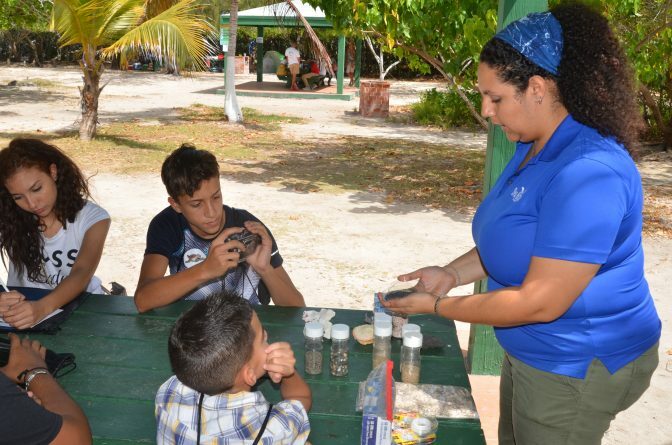 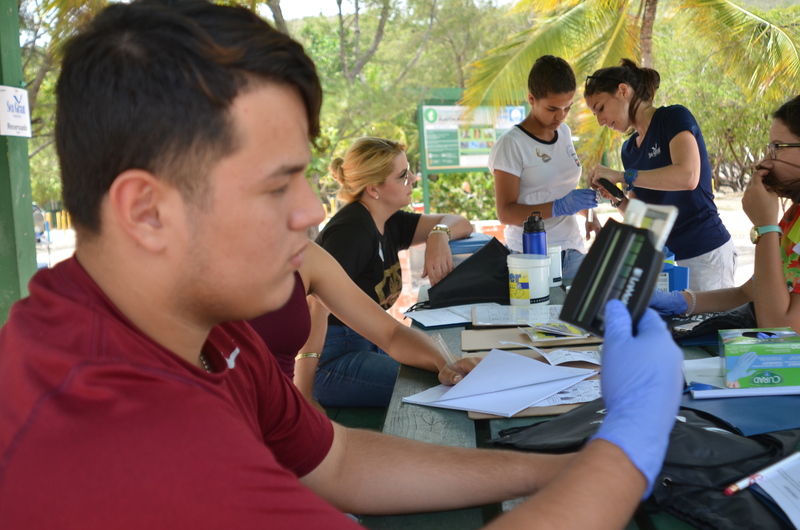 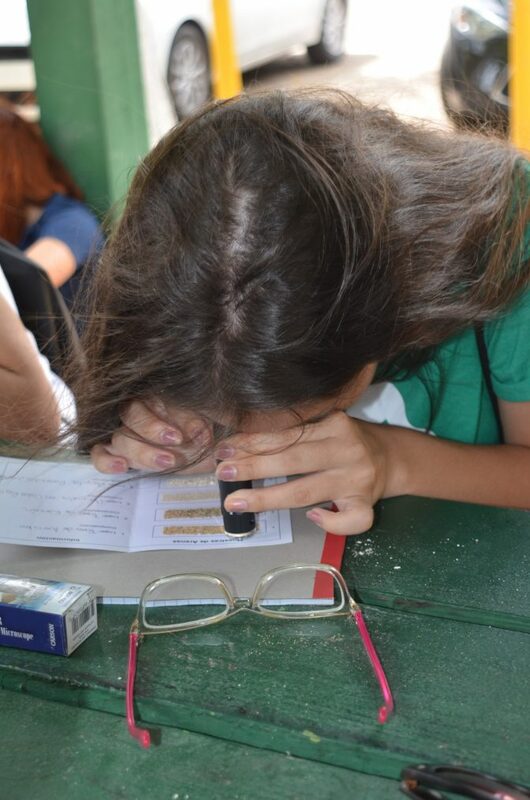 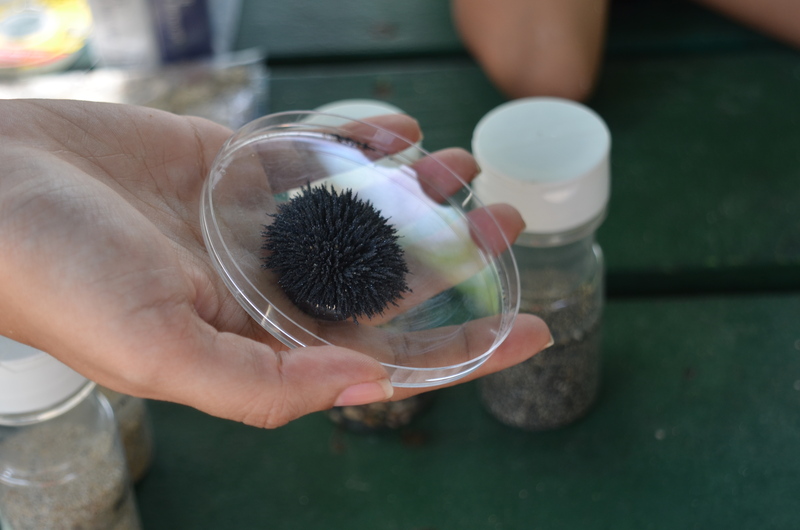 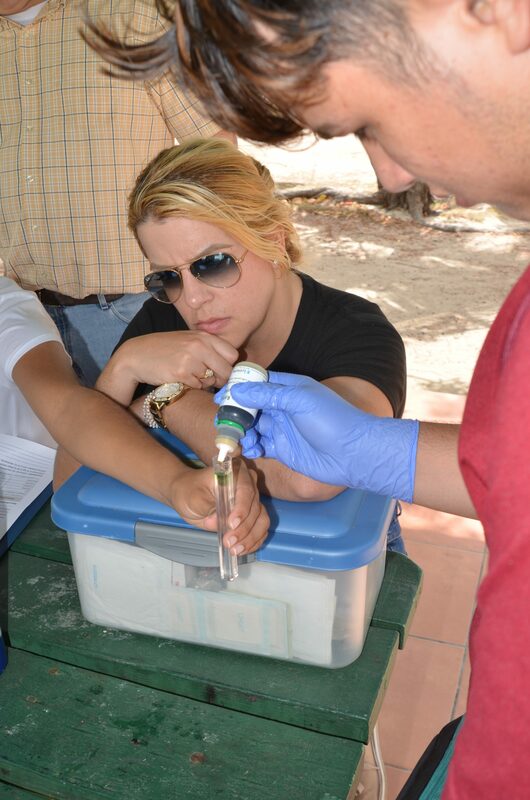 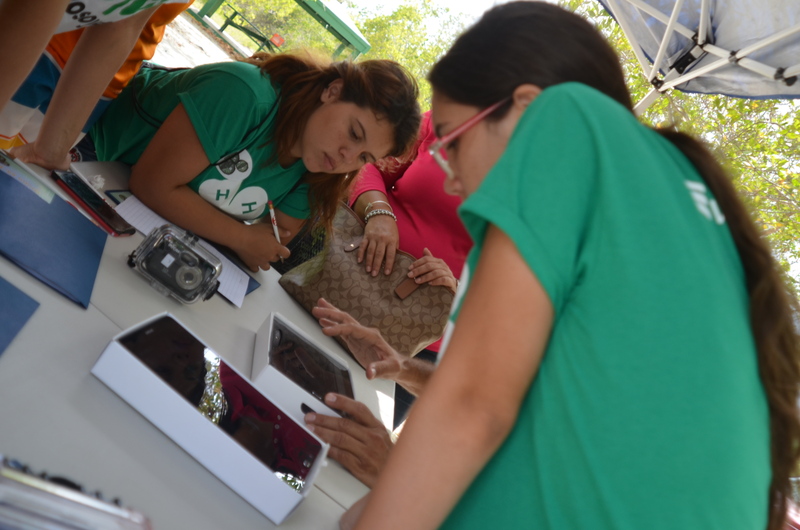 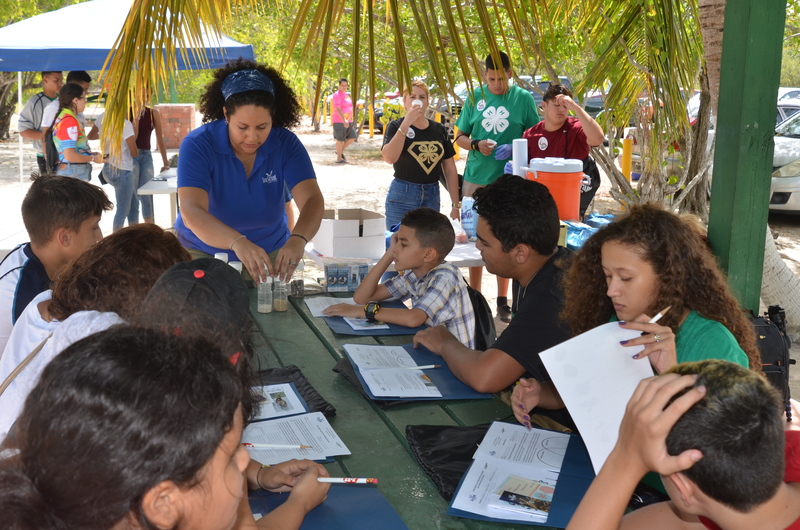 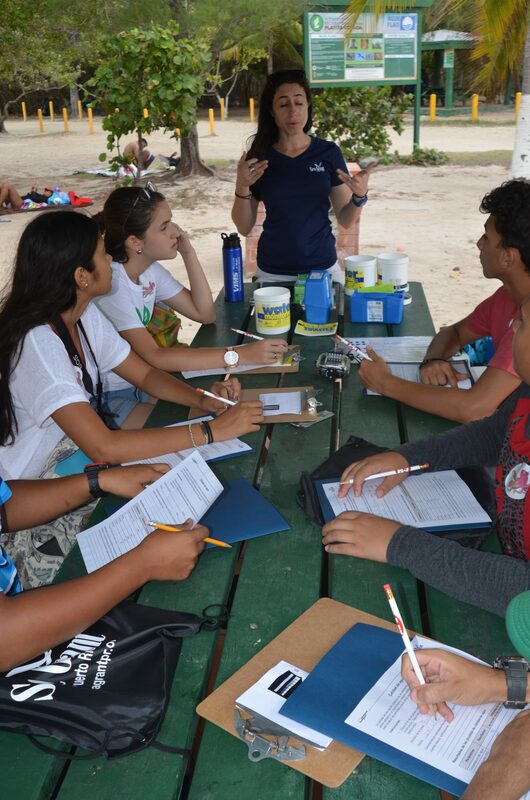 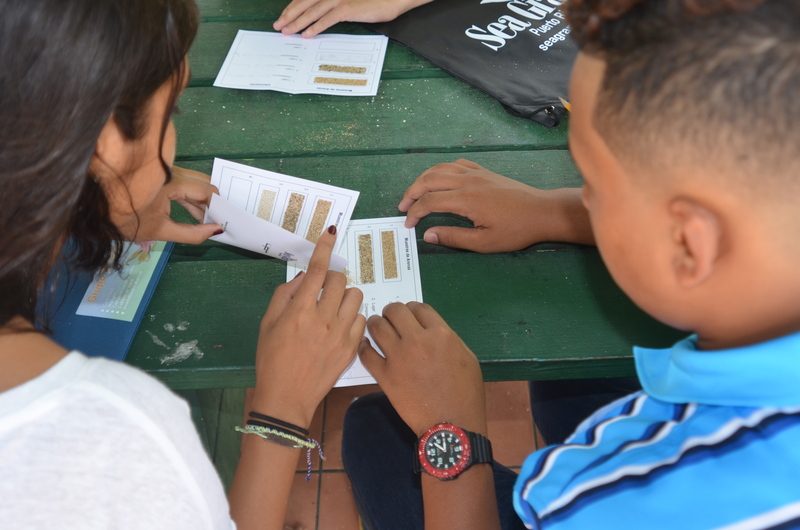 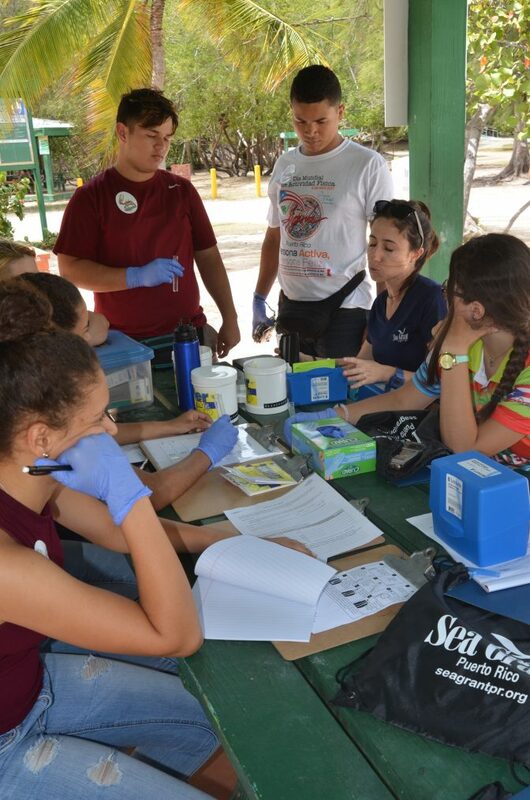 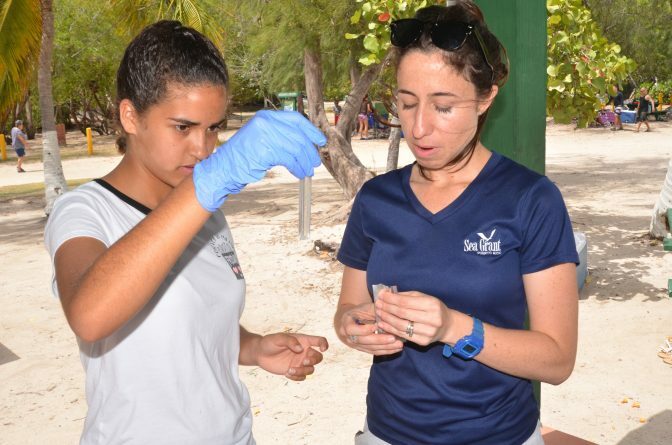 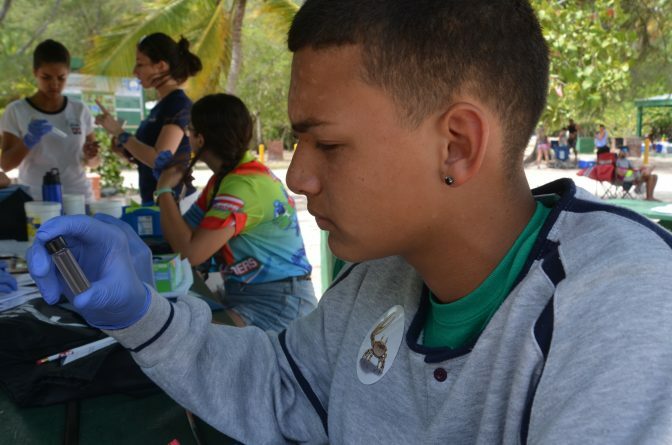 They learned about mangrove trees, water quality, sand composition and marine invertebrates. 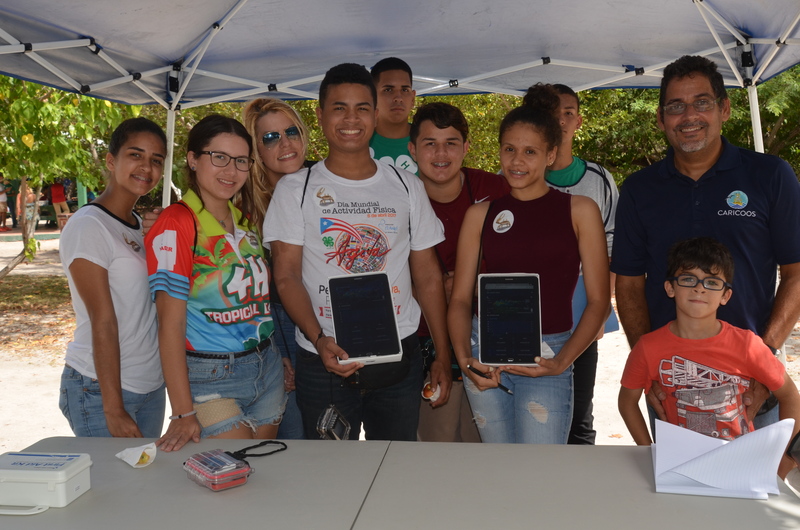 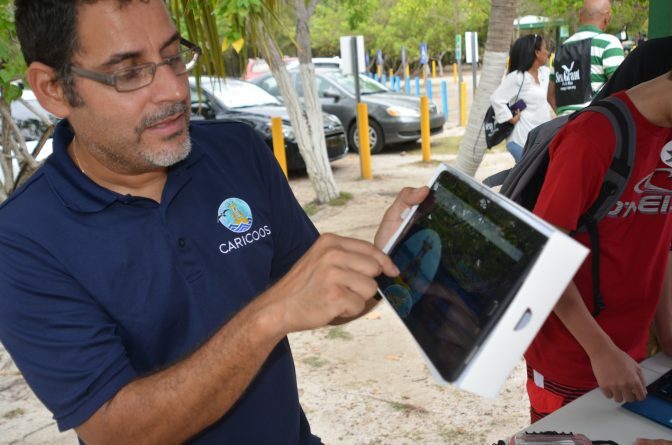 They also received a lecture from CARICOOS that demonstrated the tools this project has to check on ocean currents, surf conditions and wind speeds, among other highly important factors used to determine weather conditions in our archipelago. 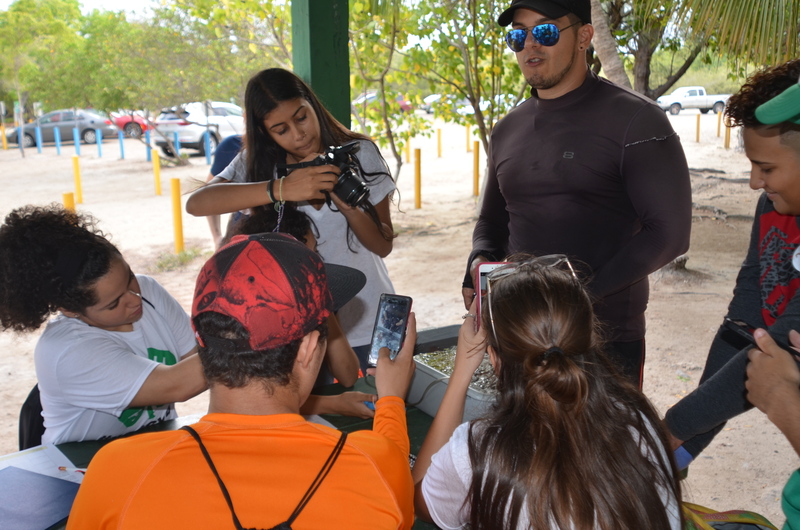 During their visit to Playita Rosada, students took several photographs that they would include in their final presentations. No doubt it was a significant experience for them.